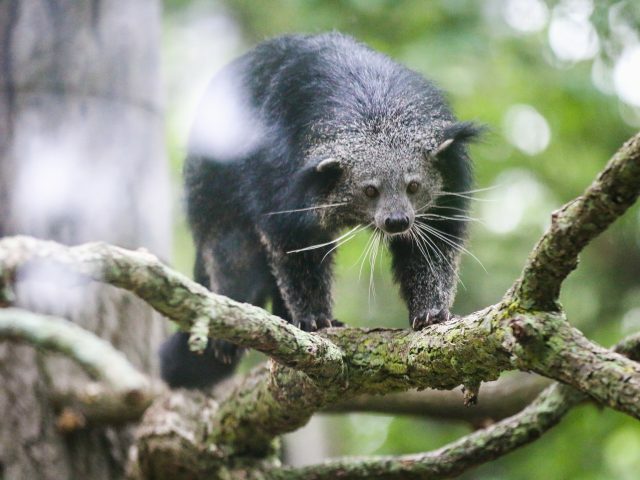 Binturongs, also known as bearcats, live in the canopies of tropical rain forests in southeast Asia. 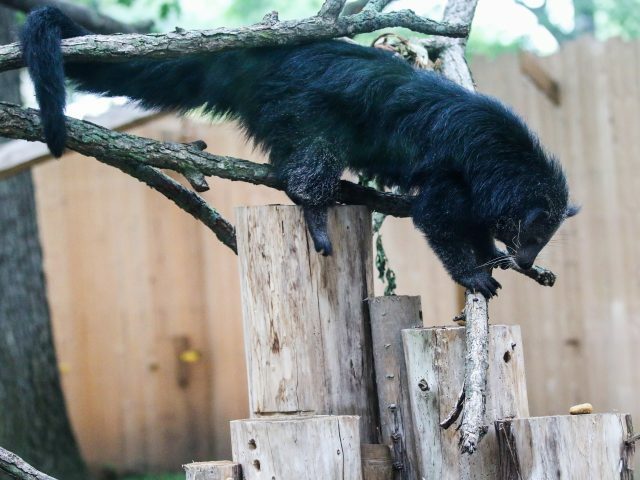 They use their prehensile tail, which can be as long as their body, as another limb to help them climb. They have an important role in the rainforest ecosystem. 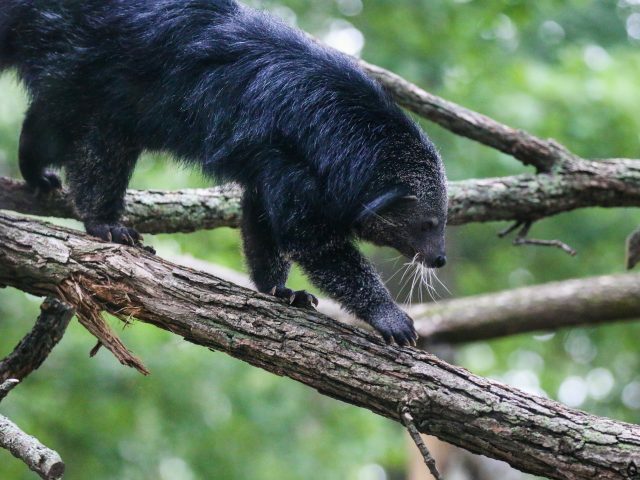 Through their feces, they spread seeds from the fruits the eat, helping to replant the forest. 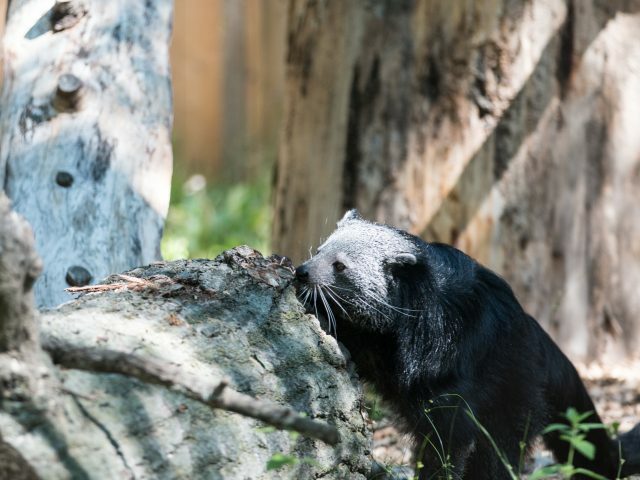 Many animals use scent to communicate. 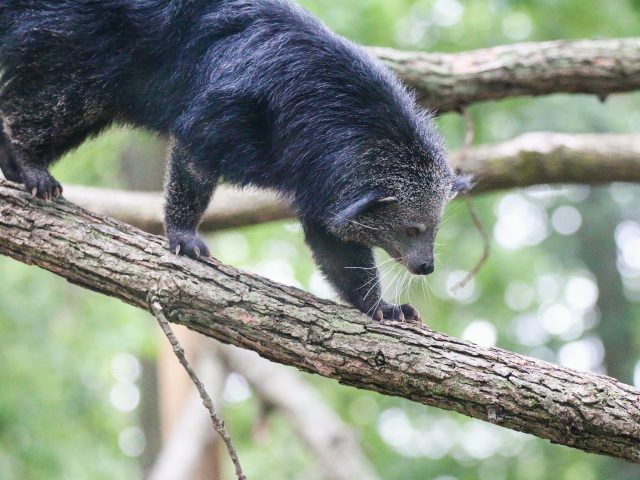 Binturongs have an oil gland under their tail which marks trees as they climb. 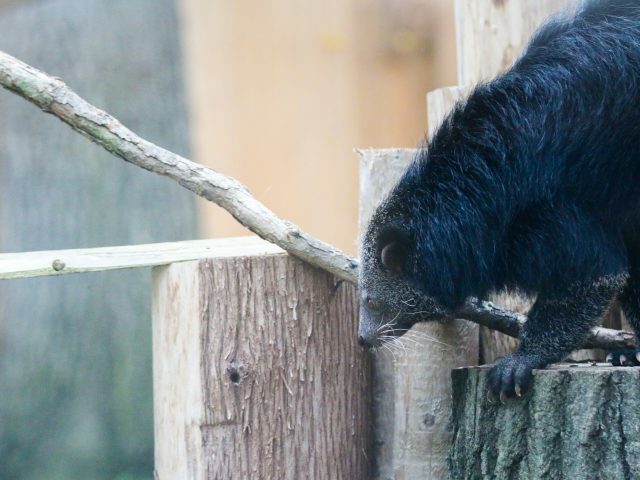 It lets other binturongs know they are trespassing, or may help attract a mate. 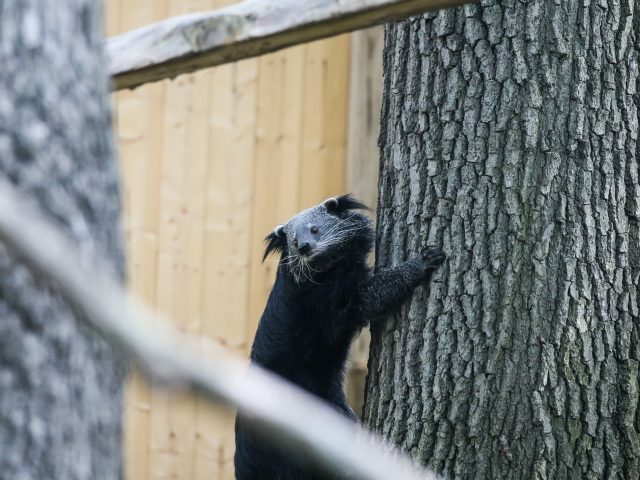 Binturongs have a very distinctive odor, similar to popcorn. 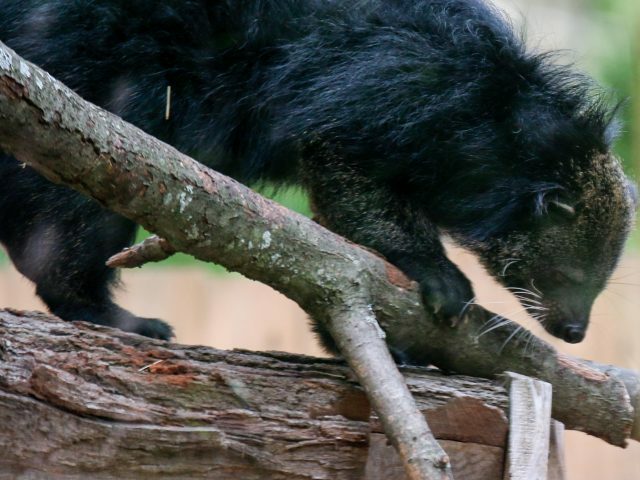 Binturongs usually live by themselves or in small family groups consisting of a female and her immature offspring. 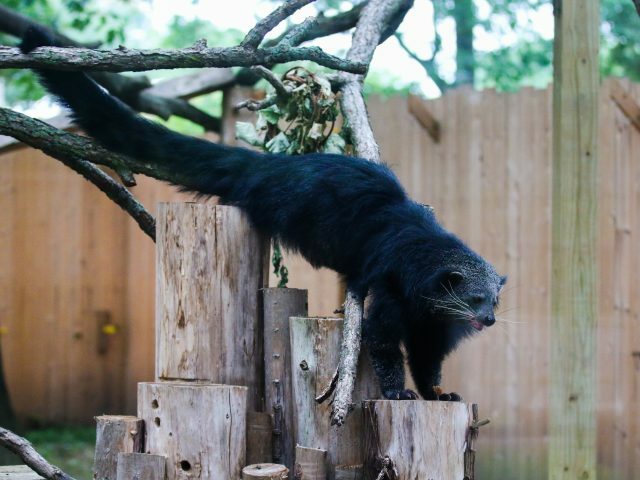 Potter Park Zoo is home to two binturong – Sebastian and Jenna. Sebastian was born in 2004 and come to us from Roger Williams Zoo in Rhode Island. Jenna was born at Brookfield Zoo in Chicago in 2015. Both came to the zoo in 2017. Listed as vulnerable in some areas and endangered in others due to habitat destruction, poaching for traditional medicines and the pet trade. 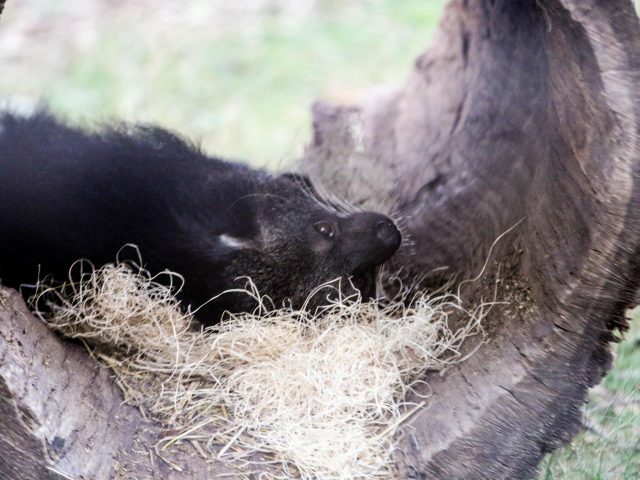 Binturongs are classified as carnivores, but have been found to eat most anything: fruit, vegetables, birds, small mammals and fish. They will also eat animal remains, eggs, leaves and plant shoots.